Royal Tokaji was founded in 1990 by well-known author Hugh Johnson and a small group of investors, including Ben Howkins, who were inspired after the fall of Communism to restore and preserve Hungary's precious wine legacy. Royal Tokaji's ensuing success can largely be contributed to its unique combination of first and second growth vineyards, including one of Hungary's two great first growths: Mézes Mály. The winery produces several exceptional wines, including three single-vineyard Aszú wines. 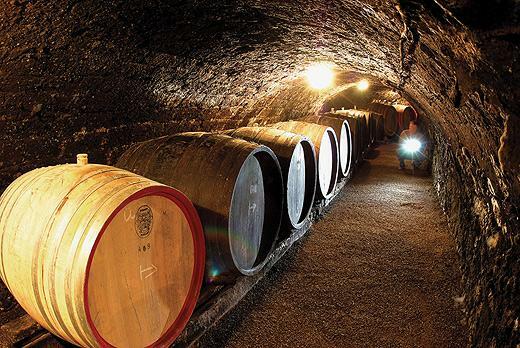 Its Aszú wines are crafted using traditional gönci casks and aged in the winery's 13th-century underground cellars. Richness with vibrant acidity is the hallmark of all the Royal Tokaji wines. Tokaji is the world's original sweet white wine. Historically the wine and the region were called Tokay or even Tokai in English but the wine is more correctly referred to as Tokaji and the region as Tokaj. The Tokaji wine region also has the distinction of being the first in Europe to be classified. At the end of the 17th century, Tokaji aszú wines were so well regarded throughout the Courts of Europe that Prince Rakoczi insisted on a classification of the finest vineyards around the 28 villages in the region into: Great First Growths, First Growths, Second Growths and Third Growths. It was in the last third of the 18th century that Jews settled in Hegyalja in large numbers from Galicia (Halychyna, present day Ukraine/Poland), an event that also influenced the development of Mád. Though we have knowledge of a few families of Jewish origins who lived in Mád at the beginning of the 17th century they only appeared in larger groups during the aforementioned period. Landlords of Mád often called upon Jewish merchants recognized for their aptitude and knowledge to sell their wines. In the beginning Jewish merchants traded the wine of the nobility to Poland and to Russia at a better price, a fact that only improved their reputation as good merchants. Eight Jewish families were recorded in Mád in 1736 but by the 1770s their number increased to such an extent that by the end of the 18th century they founded a separate congregation. Sources show that in 1771 there was already one rabbi heading the Jewish community. The economic strengthening of the Jewish community in Mád was evidenced by the construction of a synagogue built in Louis XVI style between 1795 and 1798. In the first half of the 19th century Jews maintained a school, or yeshiva for the education of rabbis. Mád even had a "Miracle Rabbi" whose tomb can be found in the Jewish cemetery of Mád, making the place an important destination for Jewish pilgrimage from all over the world. Jews engaged in the trade of wines produced by the vineyards of noblemen and became later a driving force of development in the Hegyalja region. They also gave birth to a particular, local culture of mixed Hungarian-Jewish origins, that survived until the Holocaust. Events of the 20th century left a deep imprint on the history of Mád. The two world wars, the Great Depression in 1929 shook the entire settlement. Paris peace treaties concluding World War I involuntarily made of Mád a border town. The closest city, Kassa and the surrounding region became part of another country. A slow process of moving away started, being accelerated by the Great Depression. World War II, as shown above, resulted in the destruction of the famous Jewish community. Soviet occupation of 1944-1945 also caused significant damages to wine and vineyards of Mád. Nationalization carried out in the years following 1945 made the large estates disappear, and the forcible creation of communist co-operatives was to follow. The vineyards of Mád were passed over to the Aggregated Wine Works located in Tokaj. Wine growing became focussed on the low quality demand of the Soviet Union together with some other "friendly" socialist states. The quality of the local wine was severely affected as quantity overwrote quality. Political changes that began in the years 1989-1990 brought new opportunities to the inhabitants of Mád and led to the founding of Royal Tokaji. Royal Tokaji has, from the outset, devoted itself to reviving these great wines and to bringing them back to the world's finest tables. A pale gold color that is reminiscent of dried bales of golden hay. The nose is rich and ethereal, with a hint of quince, pear and gingerbread spices and an occasional mint flash. The richness of the nose and palate coupled with a seam of elegant acidity provide a perfect balance with a long finish. Wine Spectator 94 TOP 100 Rank 28"Superclean and defined, delivering beeswax, apricot, clementine and saline mineral notes that converge on the racy finish. Refined in both texture and profile, with harmony and a long aftertaste. Drink now through 2030. 5,637 cases made." Wine Spectator 93"A broader style, showing fresh peach, apricot, mango and kumquat notes. There's good underlying acidity, but with sweetness and flesh to match it. Has a fine, refreshing finish. Furmint, H?rslevel? and Muscat. Drink now through 2030. 235 cases made." Wine Spectator 95"Positively electric. The racy style of the vintage shows in this laser-like Tokaji. The searing acidity is matched by intense flavors of apricot, orange peel, juniper, cedar and mineral. Has fine length. Drink now through 2030. 89 cases made." Wine Spectator 91"An attractive mix of apricot, orange marmalade and mango, with a hint of iodine aromas and flavors. It's compact, with a mouthwatering finish of dried fruit and mineral. Drink now through 2020. 5,200 cases made."